I recently got a note from Julian Kreimer, one of my former colleagues in the dynamic painting program at SUNY Purchase, who is about to complete an artist’s residency at Lux Art Institute, a Kunsthalle-type institution outside San Diego. Lux invites artists to work in residence, after which they mount a show that includes some of the work completed during the residency period alongside earlier work. Kreimer, working en plein air at Lux. 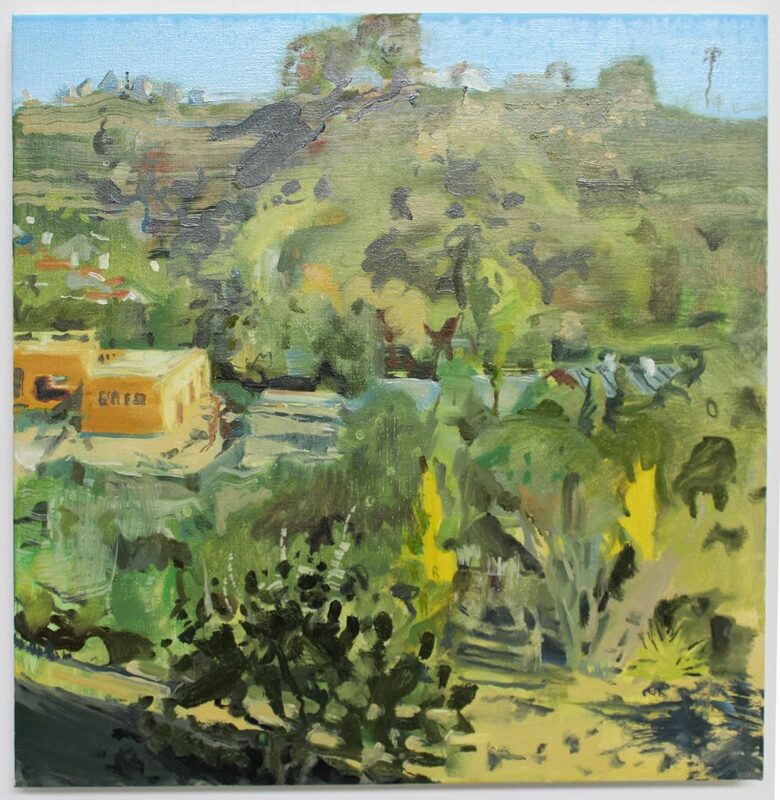 Kreimer, whose 2013 show at WEEKNIGHTS included both representational and abstract paintings, has spent the residency making a painting each day on the grounds and suburbs surrounding Lux. He paints dense layers using quick, colorful strokes. 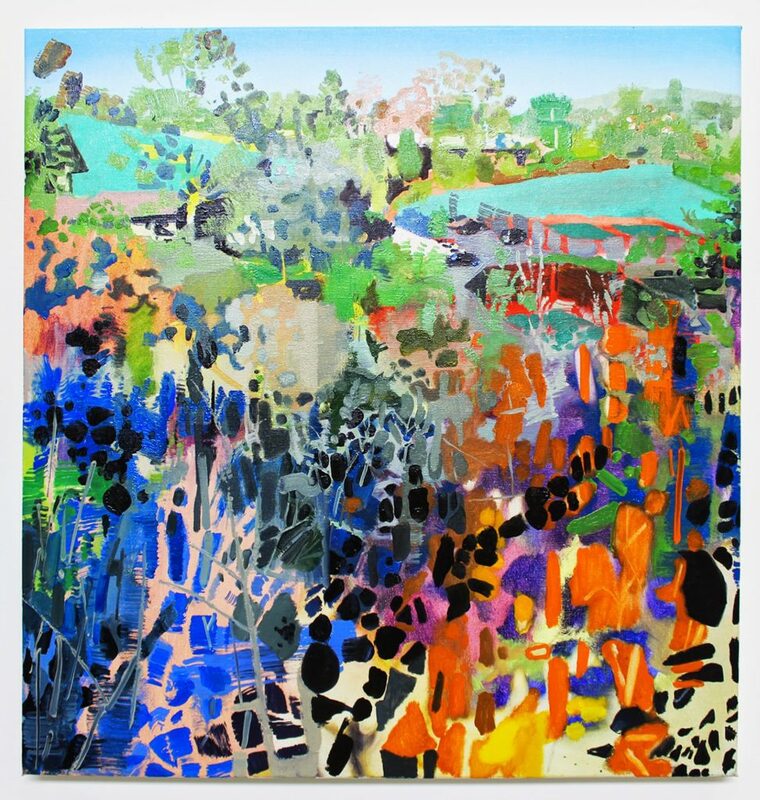 In some paintings, the brushstrokes coalesce into recognizable landscape images; in others, they take a more abstract direction. 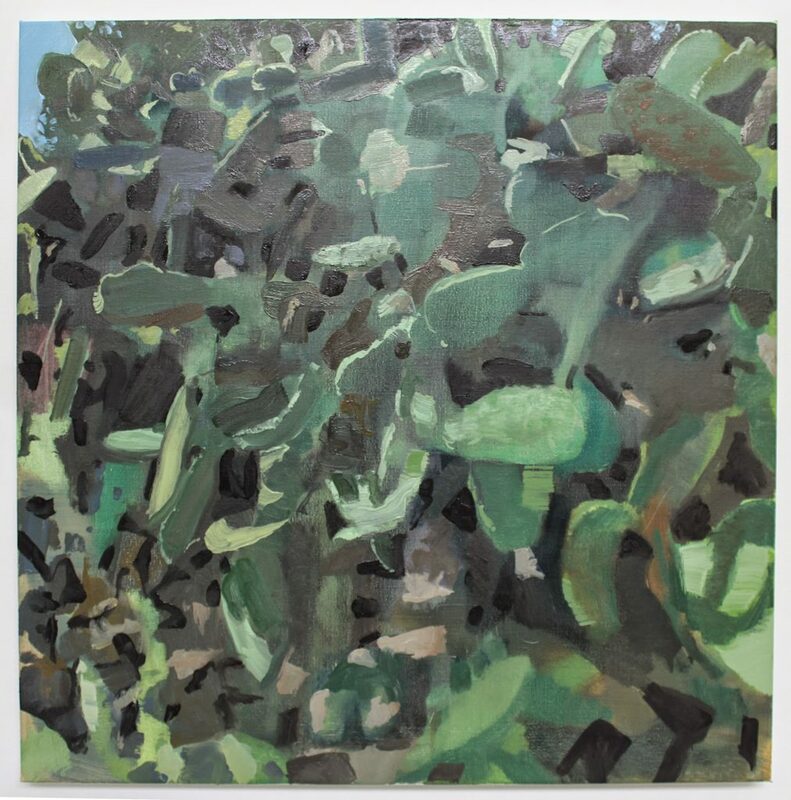 In each case, the negative space–the color and shape found between objects and things–is primary, often taking on more importance than the ostensible subject of the painting. 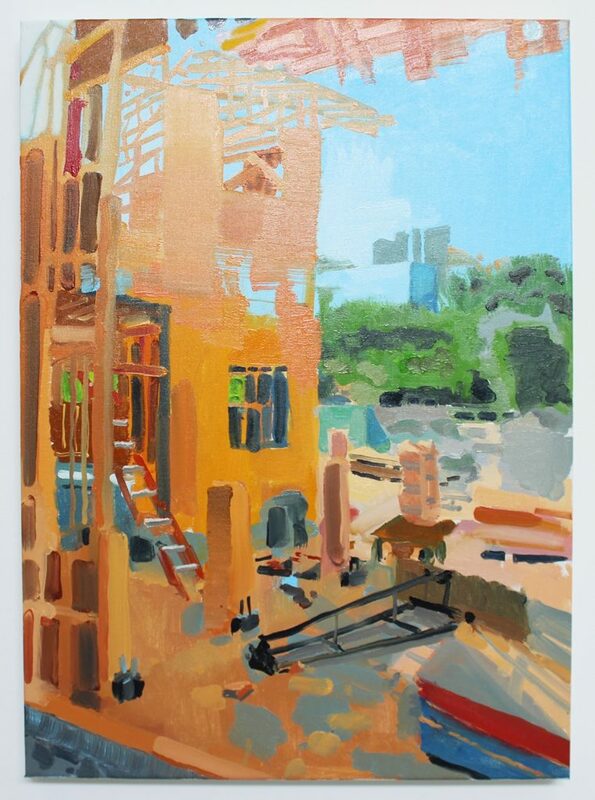 Julien Kreimer, snap of a painting completed during his residency at Lux. The current period for painting has been called an “era of distraction,” in which many painters–including myself–emphasize contingency and eschew traditional brushwork and technique. 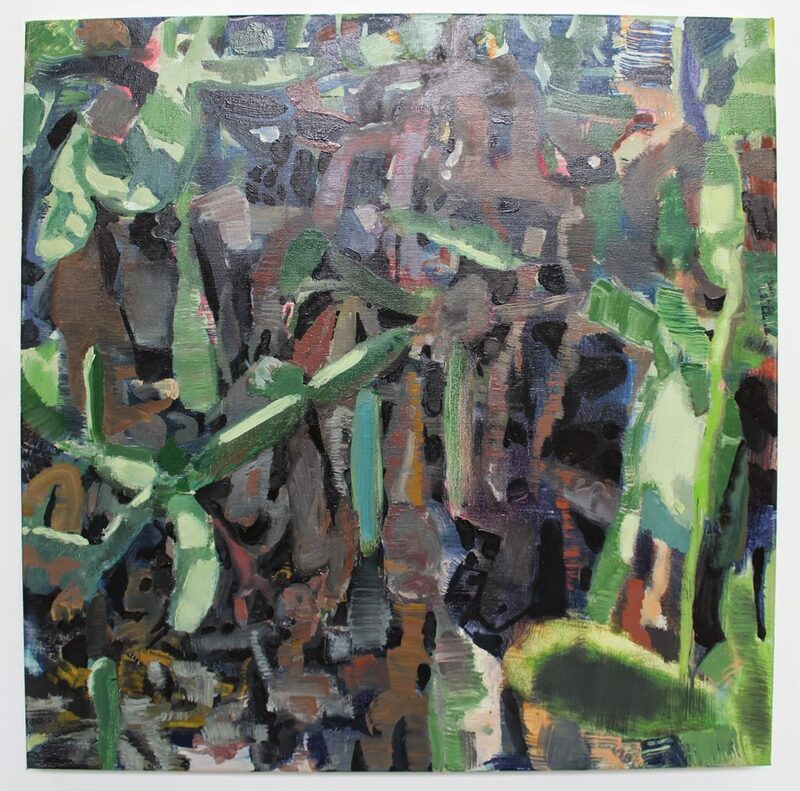 Yet I find Kreimer’s concentration on these elements and determination to paint from observation inspiringly purposeful. It may be a signal to me and others to buy some new brushes and start thinking about modifying our approach. 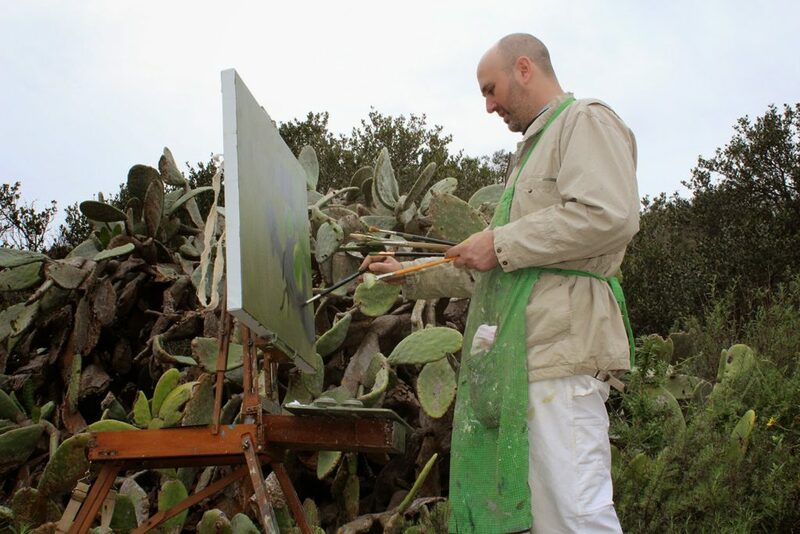 “Julian Kreimer: Resident Artist,” Lux Art Institute, Encinitas, CA. Through March 21, 2015. NOTE: For readers in the San Diego area who might like to say hello, Kreimer will be painting on site through February 21.